Have you ever had an outfit that is so comfy you wear it twice in one week? Hopefully I’m not alone in this, because this outfit was definitely repeated this week. It was suggested on my Cladwell app. 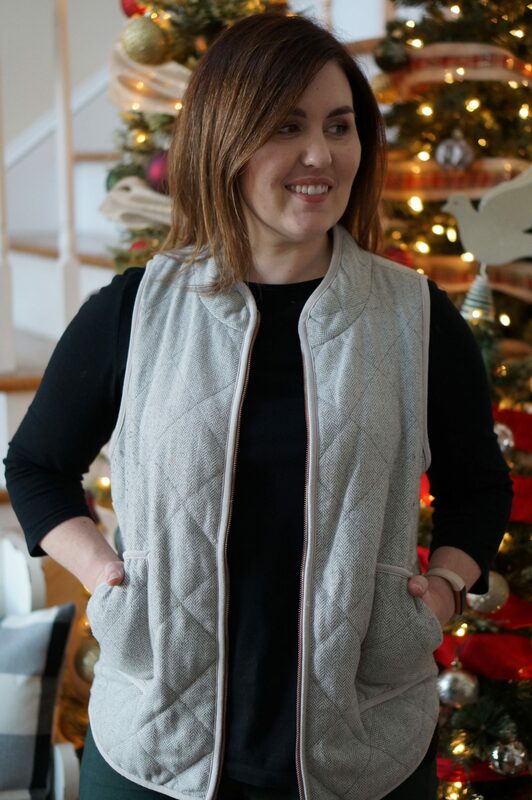 Even though these are pretty basic pieces, I’d never thought to pair this grey vest with my new (from Stitch Fix!) green skinny jeans. I don’t think I shared the fix in which I purchased these jeans. I also got a sweater I’ve been wearing on repeat, so let me know if you’d like to see that box! 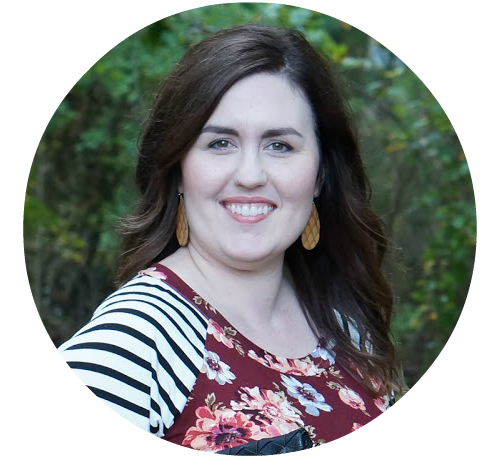 My next fix will be here in a week, so either way you’ll be seeing a Stitch Fix post soon. I can’t tell you how many times I’ve worn these Lakeview Denim skinny jeans. They’re so comfortable. I’ve had to shrink them a little in the dryer, since I’m still loosing weight, and they haven’t lost their color at all. The length is a little longer than I prefer, but since we’re heading into the colder months it should be fine. Some days I need a little extra fabric at my ankles! Brrr! 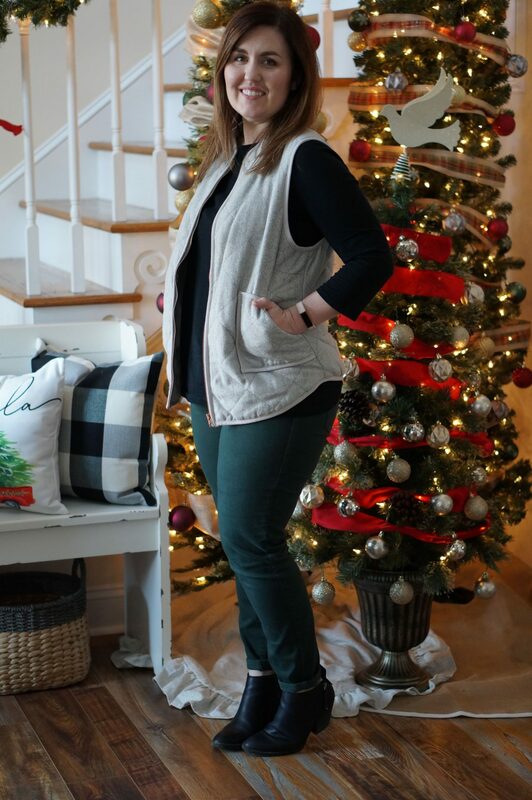 I just love this pop of hunter green, because it’s so appropriate for the holidays. 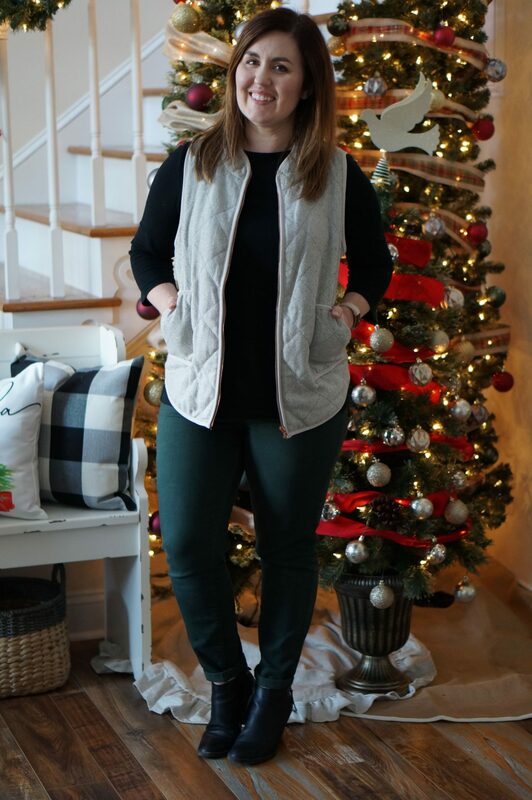 As you can see, my usual outfit-taking-spot has been taken over by Christmas trees. Last year, I shared our first year of decorating our new home for Christmas. Would you be interested in seeing how I’ve changed it up this year? Let me know, and I’ll definitely take pictures if you’re interested! Back to the outfit, I’m sharing quite a few similar pieces at the bottom of this post. 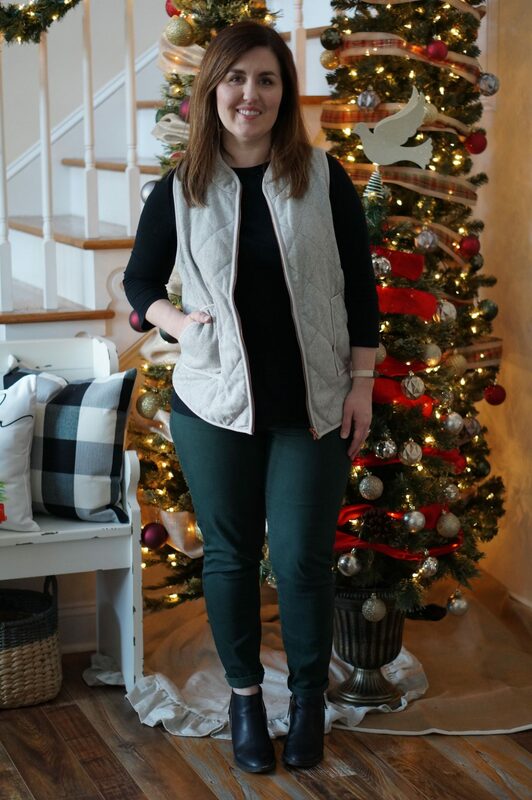 Since it can be a little tricky requesting items through Stitch Fix, I found some similar jeans from brands I love. My booties are still available online as well, and I’ve shared a lower-heeled option if you’re not into heels. 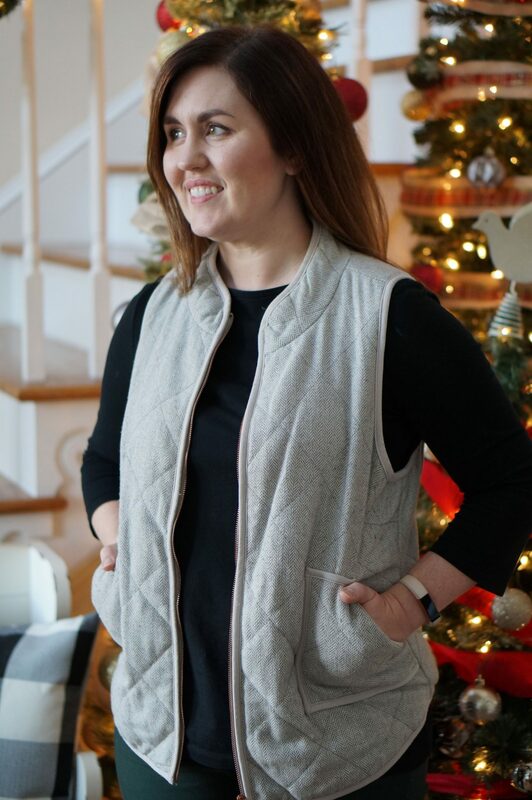 My vest was from Stitch Fix a couple of years ago, so of course I found one that’s a little darker but still has a similar shape.